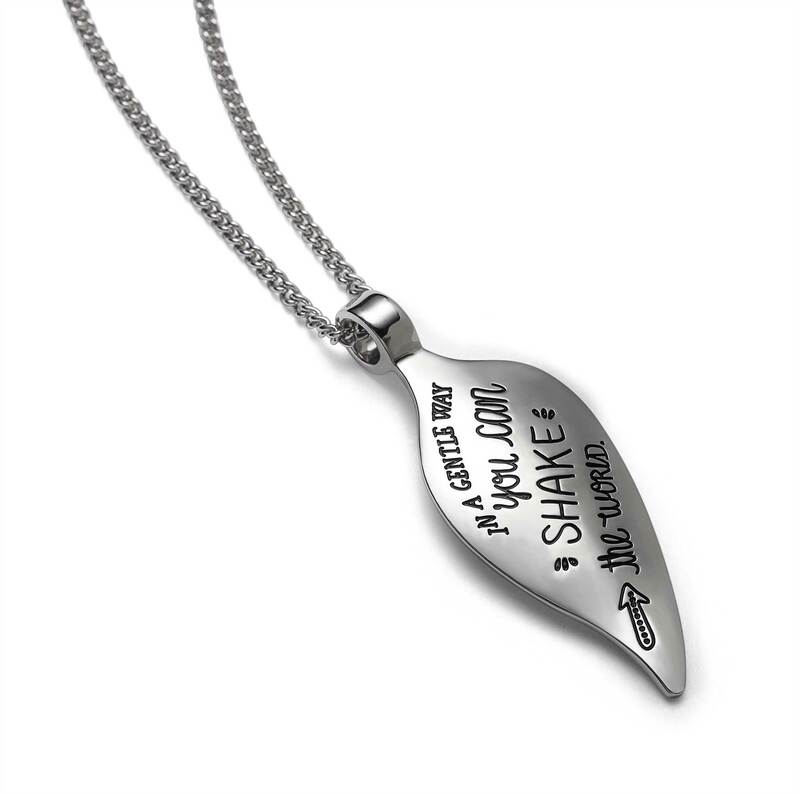 The gentle curves of this sterling silver necklace come together in a distinct point to reflect your ability to make a difference in a determined, yet peaceful manner – just like Mahatma Gandhi. We carefully engrave each piece in artistic hand-lettering. Irregular sizing serves to emphasize the word “SHAKE” because you’re ready to rock the world with your power. You have something to say and you’re not afraid to say it. Others are waiting to see what you accomplish!